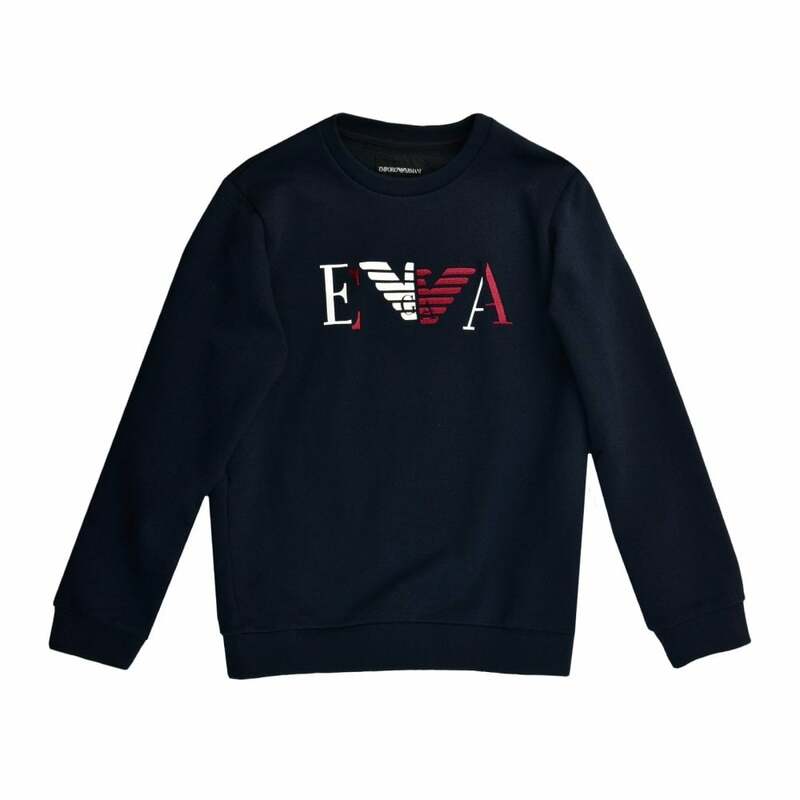 This Armani Sweatshirt is a cotton and polyester blend and is navy in colour. It has long sleeves and a crew neck. The neck, cuffs and hem are ribbed and elasticated. Emporio Armani branding appears as an eagle logo embroidered and printed on the chest in red and white.